Welcome to Nautilus Institute's Photo Gallery! Glance through our gallery for a visual documentation of the many Nautilus projects and activities. 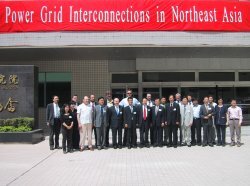 The Second Workshop on Northeast Asia Power Grid Interconnection was held in Shenzhen, China on May 6-8, 2002. The event was co-hosted by the Tsinghua University - Hong Kong University Shenzhen Power System Research Institute. Power system experts from countries in NE Asia discussed a pre-feasibility study on the grid connections between the Russian Far East, the two Koreas, and China, that was carried out by Dr. Podkovalnikov and his research group of the Energy Systems Institute of Russia. Researchers also discussed and elaborated on the collaboration and practical procedures for the Nautilus proposed pre-feasibility study. 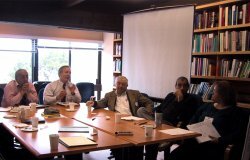 A group of Bay Area experts gathered at the Nautilus Institute on April 30 and May 1 with Nautilus staff to discuss scenarios for the future of the Korean Peninsula. 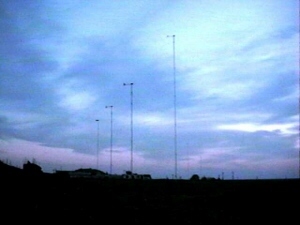 Participants considered two matrices: the state of North-South relations and the level of cooperation or conflict among the surrounding powers. From these, they developed four distinct scenarios, and explored the role of cooperative engagement in each of the different scenarios. 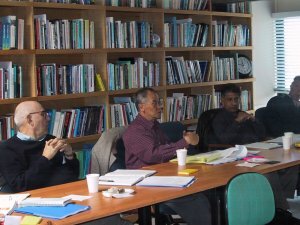 The Nautilus Institute hosted a workshop on "Virtual Diasporas: Transnational Ethnic Communities and Global Problem Solving in the Information Age" on April 25-26. The workshop began with a public presentation at the World Affairs Council in San Francisco on April 25, and continued with a brainstorming session at the Nautilus Institute's office in Berkeley on April 26. 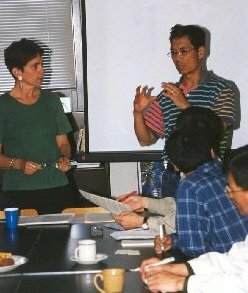 Papers from the workshop are available on the workshop page. Top energy researchers from Northeast Asia discussed the development of alternative national and regional energy paths and conducted quantitative analysis of end-use data at the East Asia Energy Futures Project's third workshop from January 28 to February 1, 2002. The partners will continue working on collaborative energy scenarios and will exchange completed national energy datasets over the coming months. The aim of the Grid Project was to provide a forum for the sharing of current research related to regional grid issues among experts from the region, as well as to create an opportunity to hear the perspectives from individual countries toward potential grid interconnections. 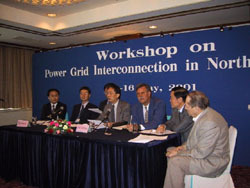 The first workshop on power grid interconnection in Northeast Asia was held in May 2001. Visit the photographs taken as part of the US-DPRK Village Windpower Project which provide a unique glimpse into North Korea's almost closed rural society. Go to the DPRK Renewable Energy Project main site for more detail about the project. Visit the Pegasus Project Photo Gallery to view photos of recent marine education sails, post-voyage student artwork and poems, and shots of the Pegasus and her crew in action. 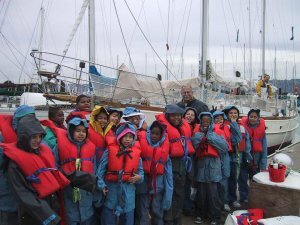 Learn more about the Nautilus Institute's marine education program for youth by visiting the Pegasus Project page. A delegation of local officials from the Republic of Korea recently visited the Nautilus Institute to discuss Sustainable Cities issues. While at Nautilus, the delegation was briefed on various Institute projects.